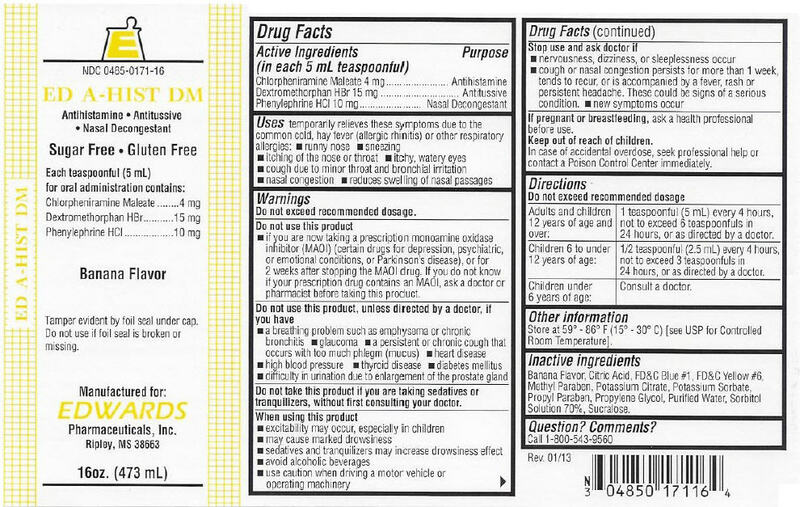 Adults and children 12 years of age and over: 1 teaspoonful (5 mL) every 4 hours, not to exceed 6 teaspoonfuls in 24 hours, or as directed by a doctor. Children 6 to under 12 years of age: 1/2 teaspoonful (2.5 mL) every 4 hours, not to exceed 3 teaspoonfuls in 24 hours, or as directed by a doctor. Store at 59° - 86° F (15° - 30° C) [see USP for Controlled Room Temperature]. Banana Flavor, Citric Acid, FD&C Blue #1, FD&C Yellow #6, Methyl Paraben, Potassium Citrate, Potassium Sorbate, Propyl Paraben, Propylene Glycol, Purified Water, Sorbitol Solution 70%, Sucralose.